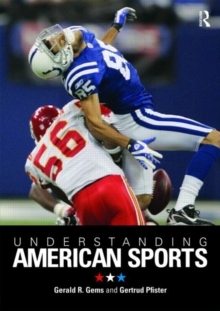 This text provides students with insights into new and alternative perspectives, examines sport as a social and cultural phenomenon, generates a better understanding of current sport practices, and considers future developments in American sport. The second edition includes the following enhancements: - The final chapter highlights sport in the twenty-first century and gives students an updated view of contemporary sport. - Content about the progressive era now makes up two chapters and provides students with a clearer understanding of this instrumental period. - New "People and Places" and "International Perspectives" sidebars introduce key figures in sport history and provide students with a global understanding of sport. - Time lines with major sport and societal events and milestones provide context in each chapter. - More than 150 images provide historical authenticity and relate people and events to the accompanying text. - Chapter objectives and discussion questions help students absorb and apply relevant content. - An ancillary suite helps instructors prepare for class with an instructor guide, test package, and presentation package. This comprehensive resource delivers coverage of sport by historical periods--from the indigenous tribes of premodern America, through colonial societies, to the era of sport in the United States today. Sports in American History, Second Edition, examines how women, minorities, and ethnic and religious groups have influenced U.S. sporting culture. This gives students a broader knowledge of the complexities of sport, health, and play in the American experience and how historical factors, such as gender, ethnicity, race, and religion, provide a more complete understanding of sports in American history. The easy-to-follow material is divided into 11 chronological chapters starting with sporting practices in colonial America and ending with globalized sport today, making it ideal for a semester-long course. The second edition maintains dedication to providing authentic primary documents--including newspapers, illustrations, photographs, historical writings, quotations, and posters--to bring the time periods to life for students. 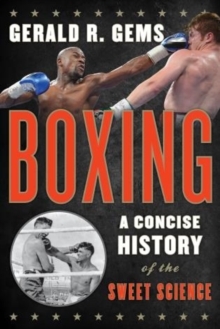 An extensive bibliography features primary and secondary sources in American sport history. 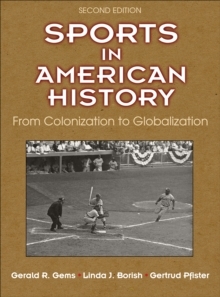 Sports in American History, Second Edition, is unique in its level of detail, broad time frame, and focus on sports and the evolving definitions of physical activity and games. 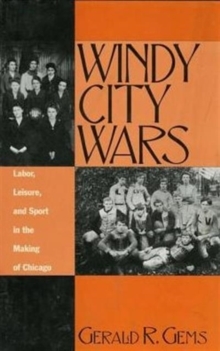 In addition, excerpts from primary documents provide firsthand accounts that will not only inform and fascinate readers but also provide a well-rounded perspective on the historical development of American sport. With sidebars offering an international viewpoint, this book will help students understand how historical events have shaped sport differently in the United States than in other parts of the world.